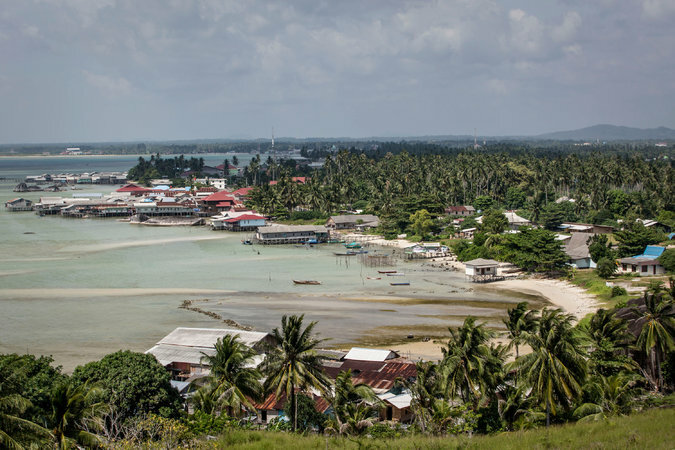 When Indonesia recently — and quite publicly — renamed the northernmost waters of its exclusive economic zone in the South China Sea despite China’s claims to the area, Beijing quickly dismissed the move as “meaningless.” It is proving to be anything but. Indonesia’s increasingly aggressive posture in the region — including a military buildup in its nearby Natuna Islands and the planned deployment of naval warships — comes as other nations are being more accommodating to China’s broad territorial claims in the South China Sea. The two countries had three maritime skirmishes in 2016 involving warning shots, including one in which Indonesian warships seized a Chinese fishing boat and its crew. Indonesia is challenging China, one of its biggest investors and trading partners, as it seeks to assert control over a waterway that has abundant resources, particularly oil and natural gas reserves and fish stocks. The pushback from Indonesia takes direct aim at Beijing’s claims within the so-called “nine-dash line,” which on Chinese maps delineates the vast area that China claims in the South China Sea. It also adds a new player to the volatile situation, in which the United States Navy has been challenging China’s claims with naval maneuvers through waters claimed by Beijing. Indonesia “is already a party to the disputes — and the sooner it acknowledges this reality the better,” said Ian J. Storey, a senior fellow at the Institute of Southeast Asian Studies in Singapore, where he researches South China Sea issues. The dispute largely centers on the Natuna Sea, a resource-rich waterway north of Indonesia that also lies close to Vietnam’s exclusive economic zone. 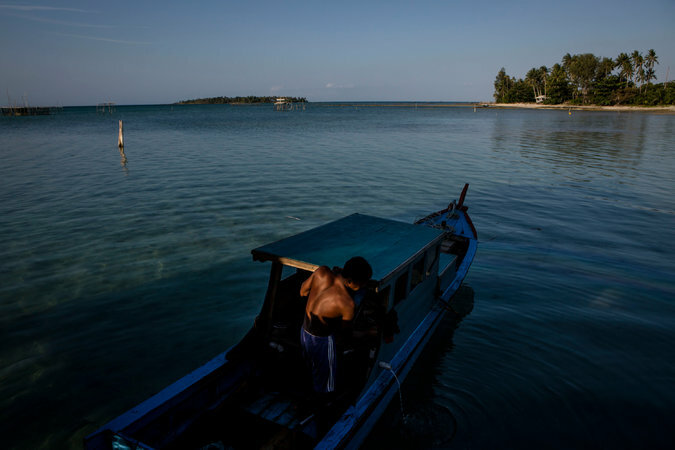 Before naming part of the contested waterway the North Natuna Sea “to make it sound more Indonesian,” Mr. Storey said, Indonesia last year began beefing up its military presence in the Natunas. That included expanding its naval port on the main island to handle bigger ships and lengthening the runway at its air force base there to accommodate larger aircraft. For decades, Indonesia’s official policy has been that it is not a party to any territorial disputes with China in the South China Sea, unlike its regional neighbors Brunei, Malaysia, the Philippines and Vietnam. Last year, however, Indonesia and China had the three maritime skirmishes within Indonesia’s 200-nautical-mile exclusive economic zone off its Natuna Islands, which lie northwest of Borneo. After the third skirmish, in June 2016, China’s Ministry of Foreign Affairs issued a statement in which it claimed for the first time that its controversial nine-dash line included “traditional fishing grounds” within Indonesia’s exclusive economic zone. The administration of the Indonesian president, Joko Widodo, whose top administrative priorities since taking office in October 2014 include transforming his country into a maritime power, has ordered the authorities to blow up hundreds of foreign fishing vessels seized while illegally fishing in Indonesian waters. Mr. Joko, during a visit to Japan in 2015, said in a newspaper interview that China’s nine-dash line had no basis in international law. He also chaired a cabinet meeting on a warship off the Natunas just days after last year’s third naval skirmish — a move analysts viewed as a show of resolve to Beijing. On July 14, Indonesia’s Ministry of Maritime Affairs and Fisheries held a conspicuously high-profile news conference to release its first national territorial map since 2005, including the unveiling of the newly named North Natuna Sea. The new map also included new maritime boundaries with Singapore and the Philippines, with which Indonesia had concluded agreements in 2015. That same day, Indonesia’s Armed Forces and Ministry of Energy and Mineral Resources signed a memorandum for warships to provide security for the highly profitable fishing grounds and offshore oil and gas production and exploration activities within the country’s exclusive economic zone near the Natunas. Gen. Gatot Nurmantyo, the commander of the Indonesian Armed Forces, said at the time that offshore energy exploration and production activities “have often been disturbed by foreign-flagged vessels” — which some analysts took as a reference to China. Although several countries take issue with China’s territorial claims in the South China Sea, few do so publicly, and the Trump administration has recently sent mixed signals about how willing it is to challenge China on its claims. That has made the Indonesian pushback more intriguing. Analysts say that the Indonesian Navy would be no match for the Chinese Navy in a fight, although the first of last year’s clashes involved only a Chinese Coast Guard ship and an Indonesian maritime ministry patrol boat. It is unlikely that the two countries’ navies would clash within Indonesia’s exclusive economic zone, according to analysts. 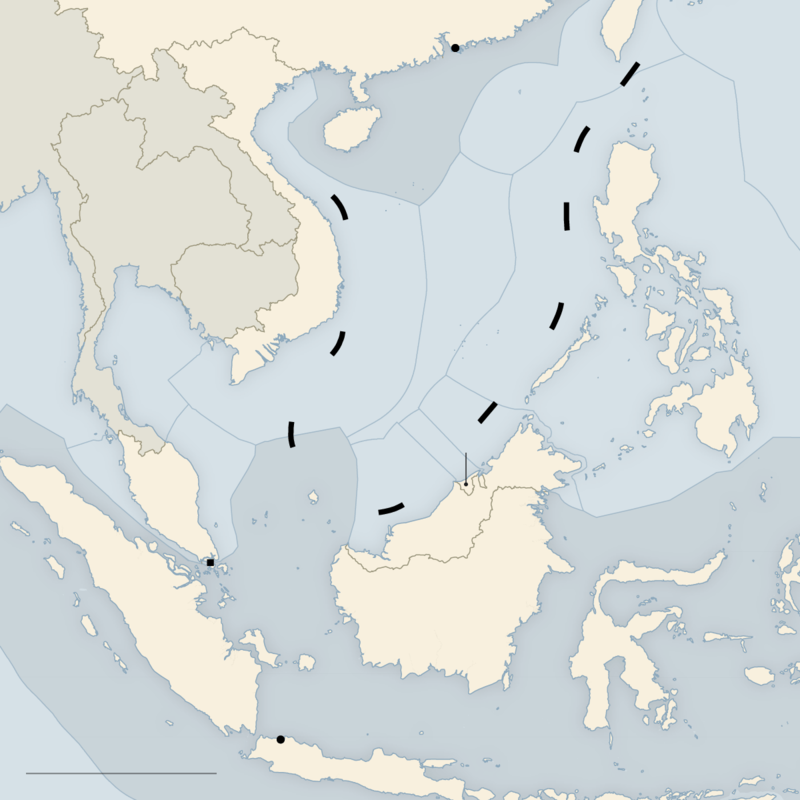 Members of the 10-state Association of Southeast Asian Nations, or Asean, have repeatedly expressed concern about China’s aggressive posture in the South China Sea, including its naval standoffs and land reclamation projects in disputed areas, and the stationing of military personnel and surface-to-air missiles in the Paracel Islands — which are controlled by China but are also claimed by Taiwan and Vietnam. Indonesia, the grouping’s largest member and de facto leader, had in the past remained on the sidelines of the various South China Sea disputes and offered to help mediate between Asean claimant states and Beijing. Given that China is among Indonesia’s biggest investors and trade partners, some analysts say Jakarta will go only so far in challenging China’s territorial claims, at least publicly. But its more aggressive military posture and other moves regarding the Natunas are nonetheless sending signals to China. “It doesn’t make Indonesia a claimant state,” said Aaron Connelly, a research fellow at the Lowy Institute for International Policy in Sydney, Australia, who follows the South China Sea disputes. “They’ve never accepted the legitimacy of the nine-dash line, which is why they say there’s no overlap” with its exclusive economic zone. Evan A. Laksmana, a senior researcher on security affairs at the Center for Strategic and International Studies in Jakarta, agreed that the naming of the North Natuna Sea was not specifically done to trigger a dispute with China. “But the international legal basis underpinning Indonesia’s new map is clear,” he said. “We do not recognize China’s claims in the Natuna waters — we don’t feel like we should negotiate our map with Beijing or ask their consent,” Mr. Laksmana said.